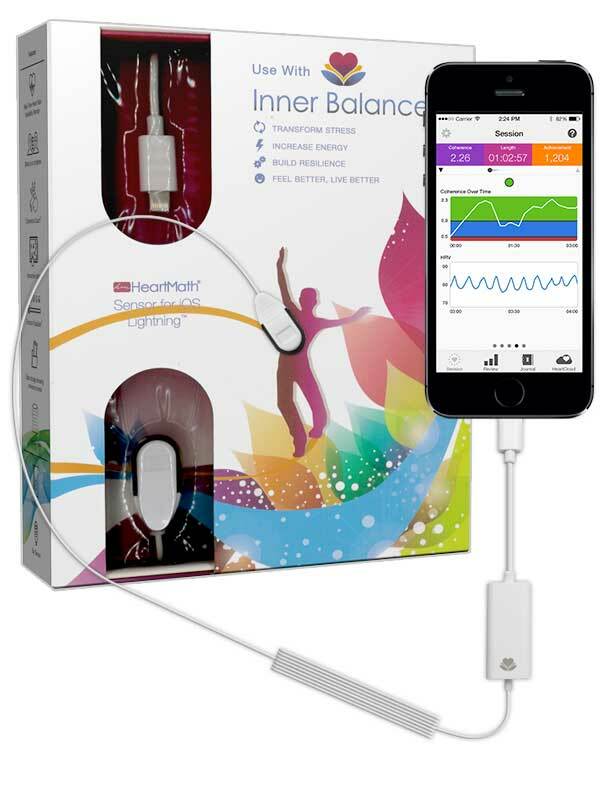 The Inner Balance Sensor for iOS (ipad, ipod, iphone) is an innovative approach to improving wellness through training, education and self-monitoring. With the Inner Balance app you enter how you are feeling in the moment and then run a session focusing on a positive moment. Research has shown that focusing on positive emotions like appreciation can greatly reduce the effects of stress and deliver you to a more calm peaceful state. The Inner Balance Sensor for iOS is an innovative approach to improving wellness through training, education and self-monitoring. With the Inner Balance app you enter how you are feeling in the moment and then run a session focusing on a positive moment. Research has shown that focusing on positive emotions like appreciation can greatly reduce the effects of stress and deliver you to a more calm peaceful state. 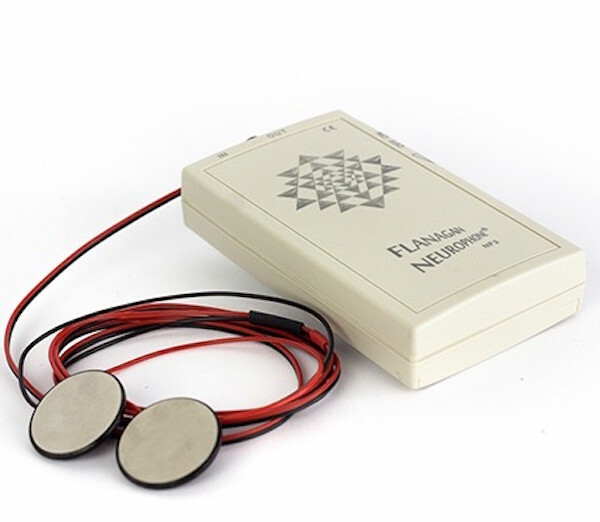 HeartMath Technologies has built this mindfulness app device − proven to help users quickly release stress and rebalance the heart, mind and emotions. NEW! 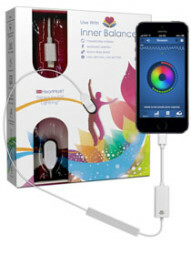 Inner Balance Now Available with HeartCloud™ ! With HeartCloud, users acquire skills to transform old stress habits and increase personal balance and resilience using HeartMath’s award-winning technologies. Over 20,000 health professionals and thousands of personal coaches and sport trainers use and recommend HeartMath products to patients and clients.